For some. While we eat up the miles on the French motorway some people have a little work top catch up with, not a problem in the well equipped Dumball One. A few stats… 10 speakers with a total of over 1kW output alongside a separate 1.2kW inverter powering 6 standard British sockets inside the van. 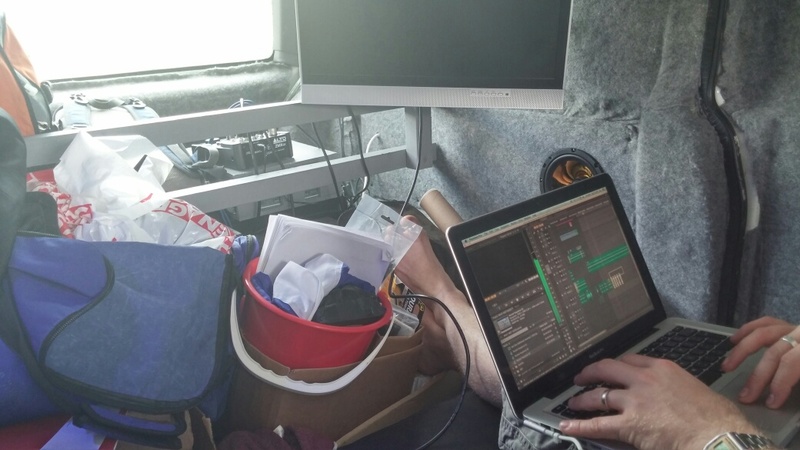 An Xbox, a 24" monitor, a karaoke machine and more laptops than are strictly necessary for a rally. 2 disco balls, 2 laser machines and a light tube. Plenty of phone chargers, and lots of crisps. And now with a third of our 666 miles under our belt, we’re pulling into the charming town of Alençon for a spot of light lunch. Maybe we’ll have something a bit more interesting to report then!